Tyler Shipley will be presenting on his book Ottawa and Empire: Canada and the Military Coup in Honduras on Wednesday October 11 at 7:00pm at the Hinton Auditorium, 3rd floor of the Toronto Reference Library at 789 Yonge St.
Just as America’s exceptionalist myth is one of bringing ‘peace and democracy’ to the world, Canadians typically expect their foreign policy to be geared around trying to act in the interests of peoples in the countries with whom their governments engage. As reported on several episodes of this radio series, Canadian foreign policy has been directed more by the mandates of the nation’s capitalist class than by the will of the people who supposedly provide direction for their policy-makers. 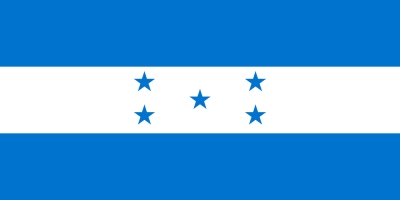 Honduras provides a stunning case-study of an imperialist Canada paving internationalist terrain for mining companies, sweat shops, hydro-electric projects and other enterprises behind a veneer of benevolence. Far from expressing outrage of this subversion of democracy, Canada helped provide diplomatic cover for it. Further, multiple Canadian companies, including the notorious Montreal-based firm Gildan, directly profited from the subversion of the will of the Honduran people. since the coup, and the involvement of Canadian government and business interests throughout. The results of his labours have been chronicled in the newly published volume Ottawa and Empire: Canada and the Military Coup in Honduras. In an interview recorded in the summer during his tour stop in Winnipeg, Professor Shipley addresses questions of the strategic importance of Honduras for imperialist powers, the progress of social movements cut short by the 2009 coup, Canada’s precise role in enabling the coup, and the interests that have benefited. Shipley also details some of the conditions besetting the population, including Bertha Caceres, whom he interviewed several times between 2009 and 2016. Tyler Shipley is professor of culture, society, and commerce at the Humber Institute of Technology and Advanced Learning. He is also an associate fellow with the Centre for Research on Latin America and the Caribbean (CERLAC). His latest book is available from the publisher Between the Lines.